GMVN TRH in Osla is a budget accommdation for mainly trekkers in Govind Sanctuary. Osla is a picturesque village situated on the way to Har-ki-Doon valley. It is connected by road upto Taluka from where one has to trek 12kms to reach Osla. Accommodation in GMVN Tourist Rest House at Osla is categorized under Deluxe Rooms and dormitory. GMVN Osla is located in Govind National Park and Sanctuary. 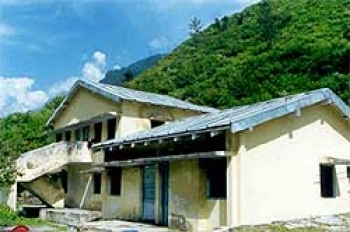 Osla is situated at a distance of 231kms from Dehradun in the interior region of Uttarkashi district. It is located at an elevation of 2560mts at a distance of 12kms from Taluka. 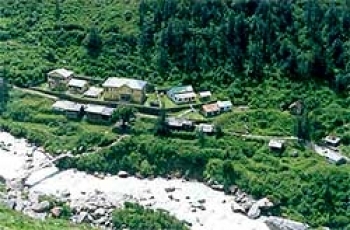 The GMVN Osla is a major place to stay for trekkers on the route to Har ki Dun. It offers 05 Economy rooms and 15 Bedded Dormitory. Each room provides very basic amenities for trekkers. The kitchen in the GMVN Osla serves healthy snacks and food best for trekkers.